A shot of tonight's moon with some light cloud surrounding it. 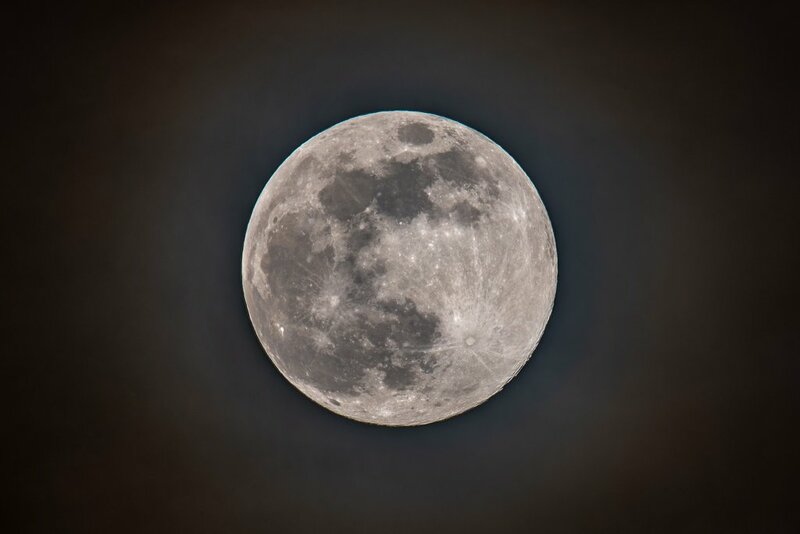 Bet it's cloudy tomorrow for the full moon! Wonderful crisp shot. We are being blessed with clouds, rain and snow for the next 4 days so, I understand. Well captured, best to stay home on the day of the full moon. Well that was what a policeman friend of ours always used to say. He said there were always more people in the lock up on the night of a full moon.